I get many different reactions when I tell people that I’m a freelancer. The title apparently comes with a lot of preconceptions, not all of them accurate. I run into these preconceived notions when looking at project and job postings as well. So I thought I’d take a few minutes to clear up some of the main myths about freelancing. Freelancer ≠ employee. I do business as a small business, because that’s what I am. That means any work relationship I have is on a business-to-business level, not employer-to-employee. What does this mean? Well, I do not have a boss, other than myself; I have clients. Since a client is a business partner, rather than a boss, they are not entitled to dictate hours I need to be at my desk, or pay rate, or payment method or schedule. That is up to me. The payment method and schedule are open to some negotiation with the client, but my hours and my rates are set by no one but me. Freelancing ≠ no life. Now, that may seem a bit harsh. No one has ever really come out and said “Wow, you’re a freelancer? You must have no life.” But some people seem to have that idea rooted in their subconscious’ nonetheless. If I don’t answer a client’s email immediately (or even within a few hours) it DOES NOT mean I’m slacking or ignoring the client. What it means is one of the following: a) I’m working on a project for a different client. Yes, I DO have other clients, and yes, sometimes they got to me before you and so I’m working on their project first. It’s not efficient to break flow on one project to deal with something else if there is no urgency. b) I’m not at my computer in order to check email (no, I do not have a smart phone). This could be for a variety of reasons: I’m eating lunch or dinner, I’m out running errands, it’s past 6pm and I’m having a social life because that’s when my friends and boyfriend start to be available, I’m in the hospital, etc. Regardless of the reason, though, I do my best to answer all client emails and needs as swiftly as possible. And if the matter is truly urgent, I am always available by phone. Freelancing ≠ always cheaper. I recently saw the following line on a project ad: “I want to work with a freelancer because I can’t afford a firm or company.” Now, this may seem correct on the surface, but the truth is the range of freelancing rates varies just as much as the range of design firm rates. Yes, you can find a freelancer who will do a logo for the low rate of $50 – but you’ll get a low-rate design. A good designer knows that their time and expertise are worth more than that, and it should be worth more to the client, too, as they are the one who will benefit. The bottom line is that if you want quality design, you will have to pay quality rates, whether you go with a freelancer or a firm. Those are the main myths I run into. 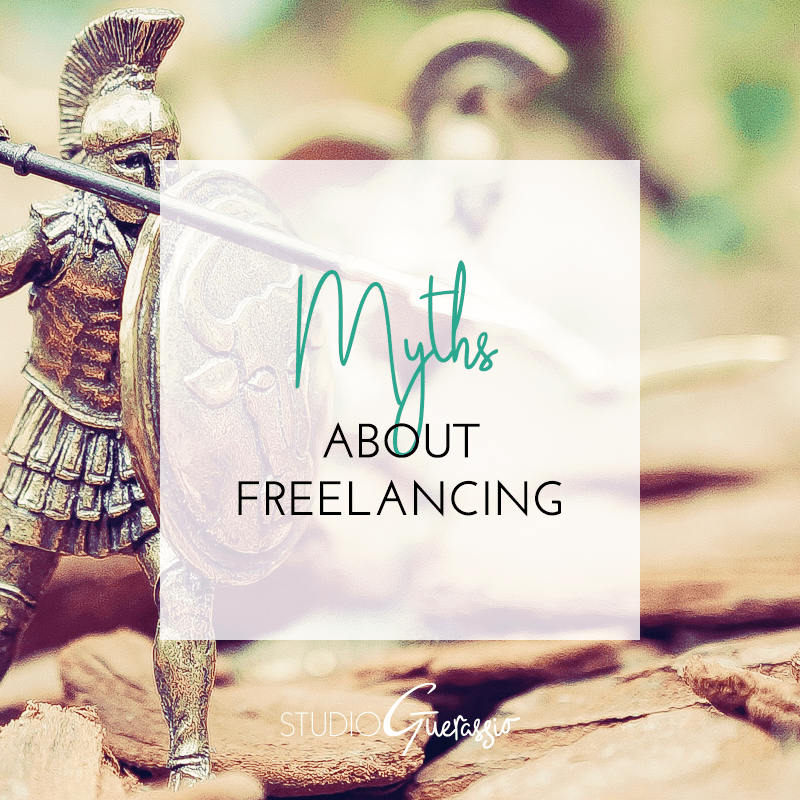 What are some of the myths about freelancing that you’ve heard or had to bust?